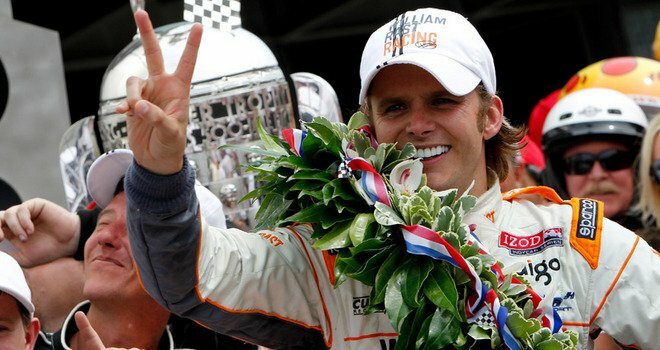 LAS VEGAS (AP) — IndyCar driver Dan Wheldon has been seriously injured after his car went sailing through the air during in a massive 15-car wreck early in Sunday’s Las Vegas Indy 300. Indianapolis 500 winner Wheldon, in line to win $5 million had he won the race, was injured when he car flew over another on the Lap 12 wreck and apparently caught part of the catch fence just outside of Turn 2. 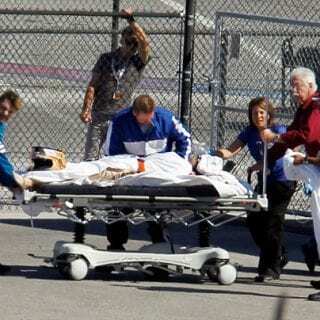 Wheldon was transported to a hospital in a helicopter after a crash early in Sunday’s Las Vegas Indy 300. 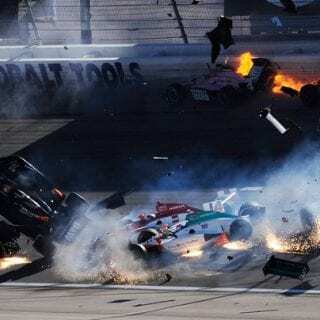 Paul Tracy, who was involved in the wreck, said a team of doctors was working on Wheldon, but there was no word of his injuries. 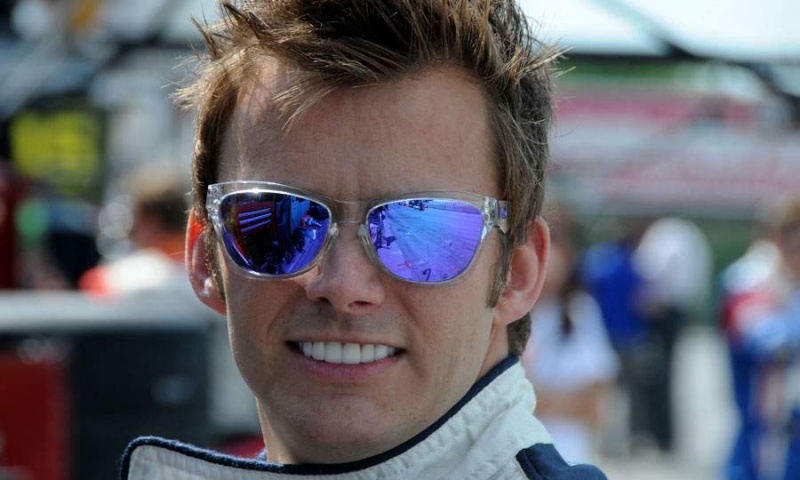 A helicopter lifted off from the speedway, and an IndyCar official confirmed Wheldon was onboard. 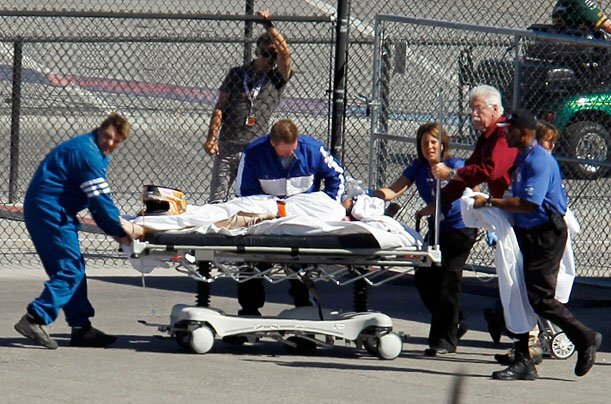 Pippa Mann and J.R. Hildebrand also were transported to a hospital after complaining of dizziness. 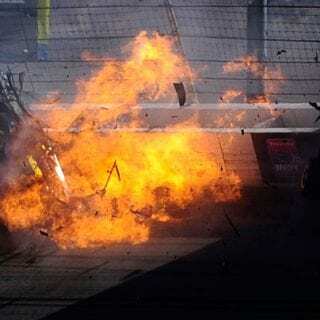 The wreck left Townsend Bell upside down, smoldering cars strewn all over the track and debris nearly halfway up the straightaway of the 1.5-mile oval. “Just a horrendous accident,” said Tracy, who was involved in the accident. “Lot of prayers right now for Dan, because it’s going to be a long recovery. They’re scrambling in there right now. There’s 20 doctors in there. 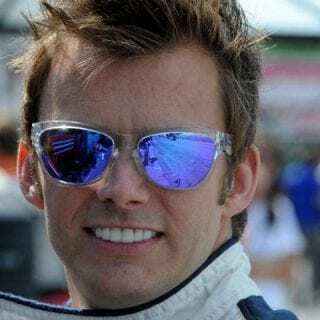 Wheldon had to start in the back of the field as part of the promotion and had quickly worked his way through the 34-car field before the big wreck. Drivers had been concerned about the high speeds on LVMS’ 1.5-mile oval after they reached nearly 225 mph during practice. 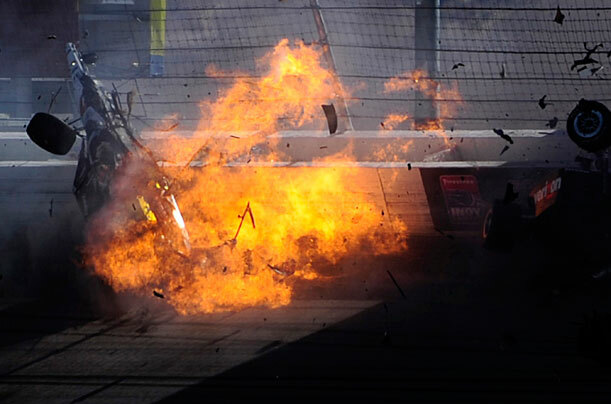 Their concerns became reality when contact on Turn 2 sent cars flying through the air, crashing into each other and into the outside wall and catch fence. 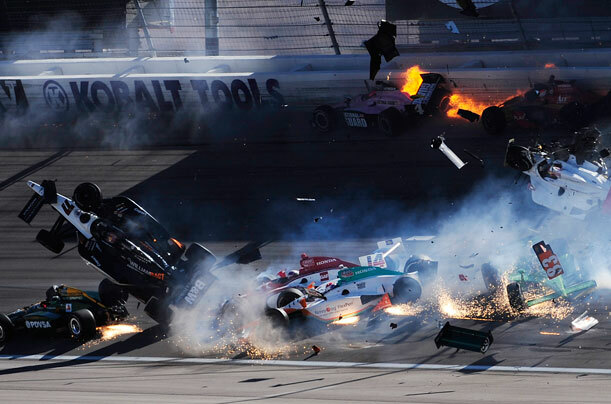 The wreck left Bell’s car upside down, smoldering cars strewn all over the track and debris scattered down the straightaway opposite the grandstand. Wheldon bumped Alex Tagliani from his ride with Sam Schmidt Motorsports and raced two weeks ago at Kentucky as a warm-up for Las Vegas. 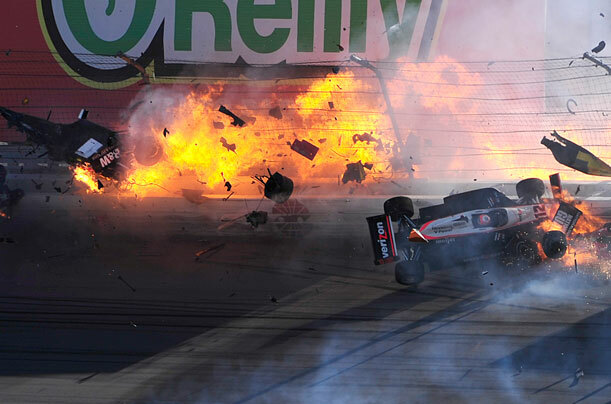 The accident also collected championship contender Will Power, who sat for a long time in his car in disbelief. 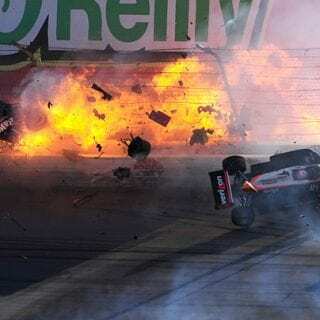 Points-leader Dario Franchitti avoided it, and seemed stunned as he waited out the clean-up on pit road. 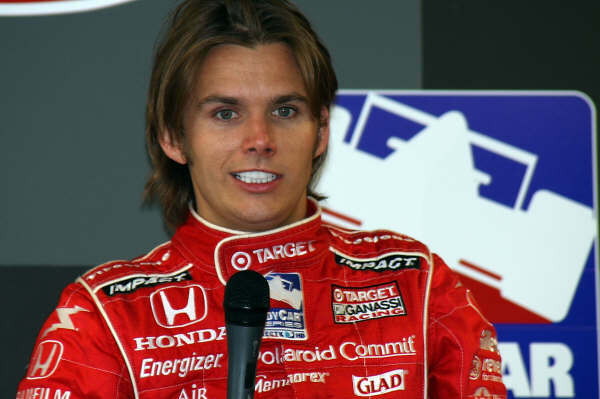 Wheldon was replaced by Hildebrand at Panther Racing at the start of this season, and failed to land another ride. 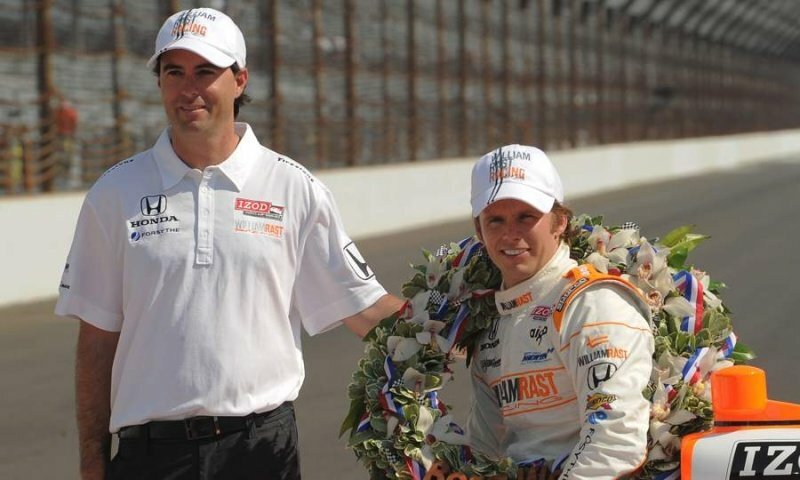 He put together a deal for the Indianapolis 500 with Bryan Herta Autosport, then won the race in dramatic fashion when Hildebrand wrecked going into the final turn. 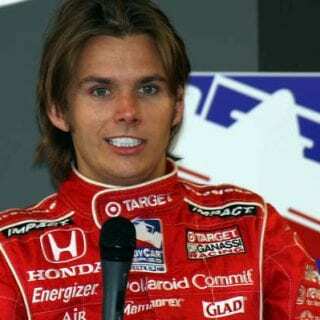 Wheldon sailed past for his second Indy 500 victory. Despite the win, he was unable to put together anything for the rest of the season and spent the last several months doing television work and helping Herta Autosport test the prototype car the team will use next season. Then he laid claim to IndyCar CEO Randy Bernard’s offer to pay $5 million if any non-regular series driver entered and won the season finale at Las Vegas. Although Wheldon, winner of 14 career races on ovals, didn’t meet the spirit of the promotion, Bernard let him participate in the challenge.